I've had a very painful tendinitis to my right wrist, last week, so I've resting for a while. I'm sorry for leaving my blog behind my back, and I'm very sad for passing over Birthflowers and Finishpedia, but trust me when I say that tiping with one single hand is an unbereable task. I changed my shape, two weeks ago, because I was tired of the silly shape my left index (I have had a very very very BAD nail break in early days of January, do you remember?). I thought I could show you my left hand too, just adjusting his shape, so I took my nail files and I did it. Because I'm a prudent girl (who? me? ), I still have few photos with my square nails so don't be amaze if in the next few weeks you will see a random mix of both. Ho passato una settimana a riposo, per colpa di una fastidiosa tendinite che mi ha bloccato polso e pollice della mano destra. Mi è dispiaciuto tantissimo aver dovuto saltare sia la Birthflowers che la Finishpedia, ma scrivere con la sola sinistra - in una lingua e mezzo, poi! - è una mission impossible. Due settimane fa ho cambiato forma ai miei artigli. Ho pensato che avrei potuto ricominciare a mostrarvi anche la mano sinistra se avessi sistemato un po' le unghie, così sono passata once again alla mandorla, o pseudo tale. Ho ancora delle foto scattate con la forma quadrata - sono un tipo previdente - sicché non stupitevi se dovesse comparire sul blog una forma o l'altra nelle prossime settimane. Today I want to share with you what I've planned for February's Birthflowers. It's a simple dramatic french manicure in pink, because this month we have violet or primerose on the menu and I'm very proud of it! It's been a while since last time I have worn a french manicure. And I like it! 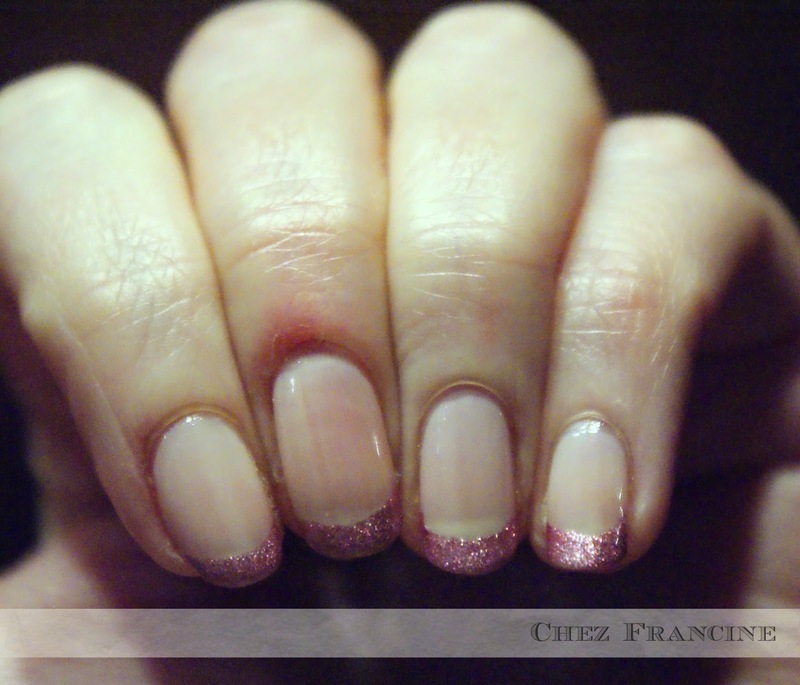 I think french manicure is nice with a oval shape, don't you agree? Oggi vi mostro la manicure che avevo preparato per la BirthFlowers. Si tratta di una french manicure con la lunetta enfatizzata. In rosa, perché a Febbraio abbiamo violetta e/o primula. Era da tanto tempo che non sfoggiavo una french manicure e devo dire che mi piace. Trovo stia meglio su una forma ovale, piuttosto che su una squadrata. Non credete anche voi? 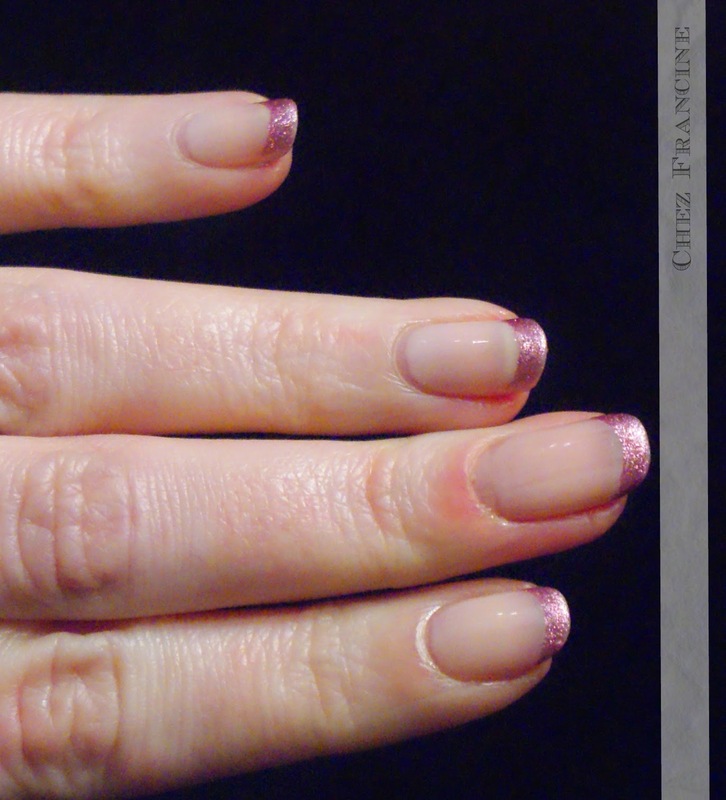 I started with two coat f Wet'n'Wild Sugar Coat, a lovely pink sheer nail polish I didn't shot on my nails. maybe, next time. 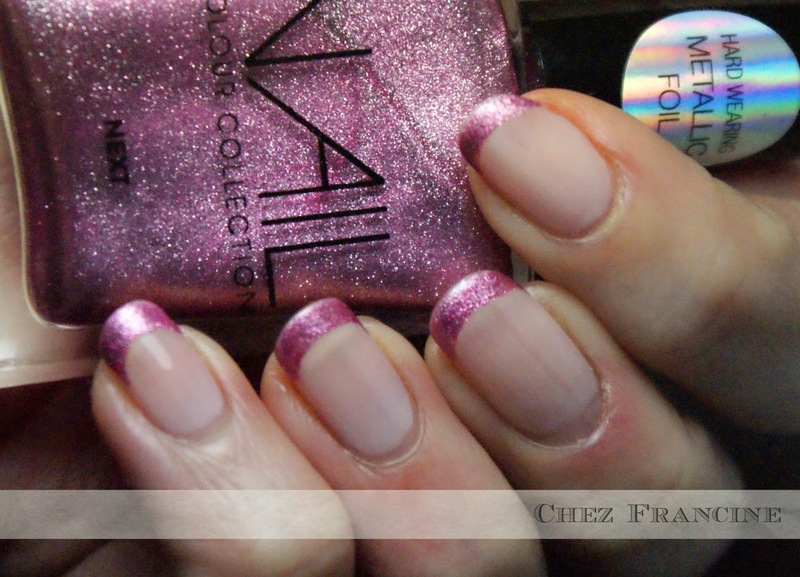 It's perfect for french manicures, so I thought to pair it with Next Well Jel. 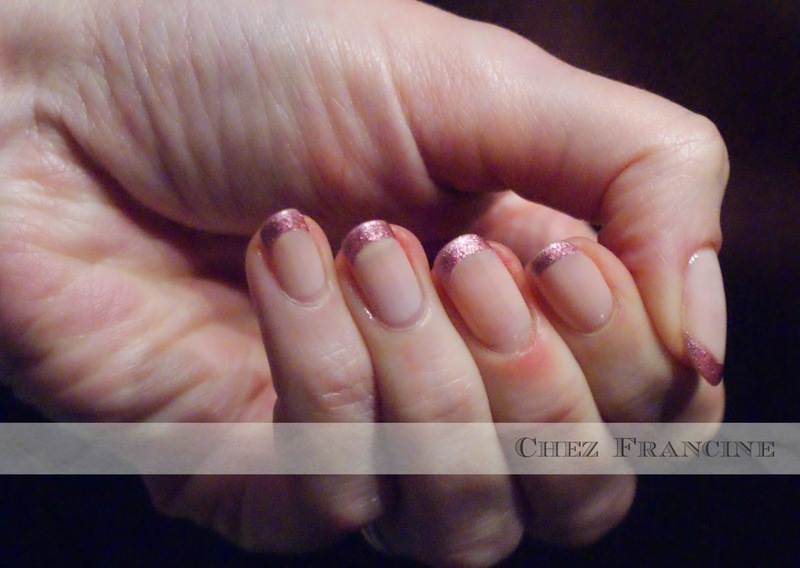 I placed essence french manicure guides over my nails and I layered my pink foil. I removed french guides using a pair of tweezers, I used a detail brush to enhance my smiling line and I layered the top coat. Sullo smalto asciutto ho piazzato le guide per la french manicure di essence, ho steso Next Well Jel, ho rimosso le guide, ho sistemato il sorriso con un pennellino sottile ed ho steso il top coat. I liked so much this simple mani that I wore it for one week. Sometimes it's nice turning pink, don't you agree? 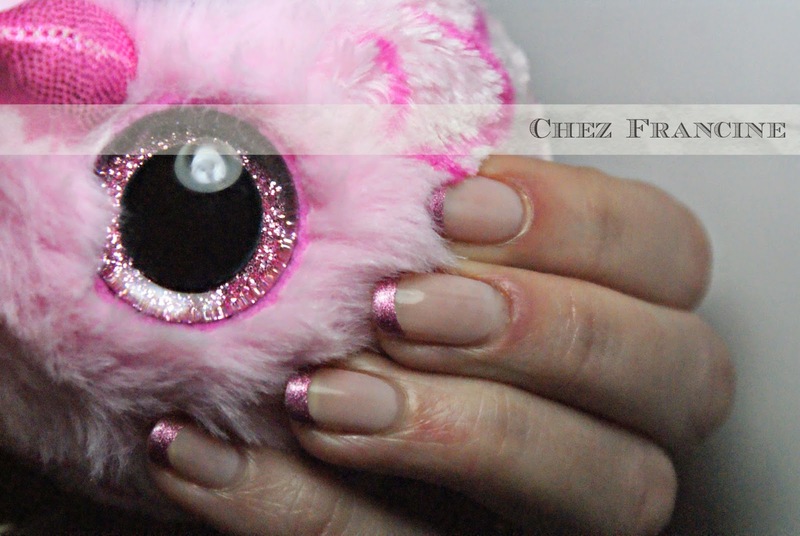 Do you like french manicures? Do you gladly wear them or you prefer something more elaborate or flashy? I hope you liked my little mani and thanks for stoping by my space. Non sono un tipo che ama il rosa e le french manicure, ma ho sfoggiato questa manicure per una settimana intera. E a voi piacciono le french? Oppure preferite qualcosa di più brioso ed elaborato? Spero che la mia idea vi sia piaciuta e grazie mille per essere passate!